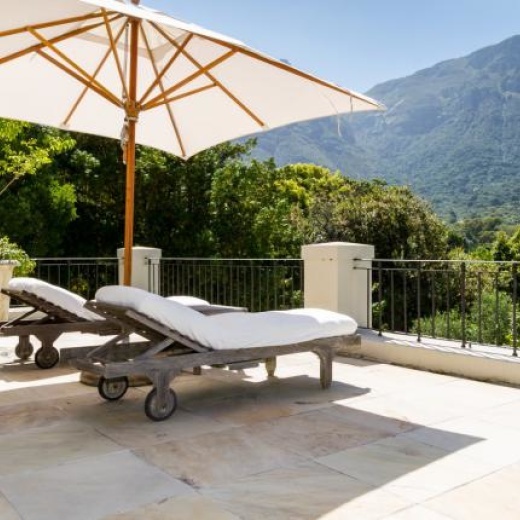 This beautiful, French –style, classic villa in Bishops Court has views of the mountain and botanical gardens and a gorgeous flat manicured garden and pool. 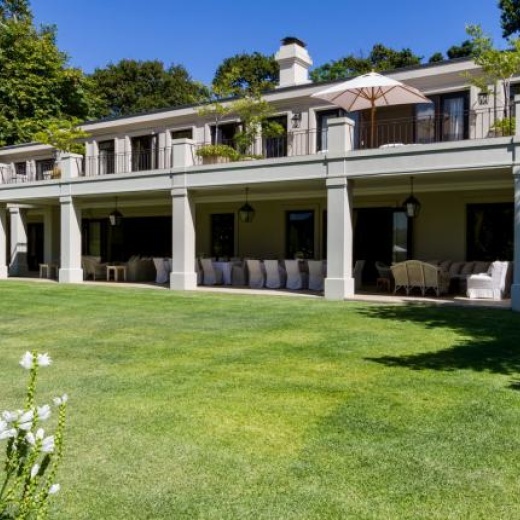 Generally massive proportions, high ceilings, a long sweeping driveway and an opulent front entrance make this location an ideal shoot option. 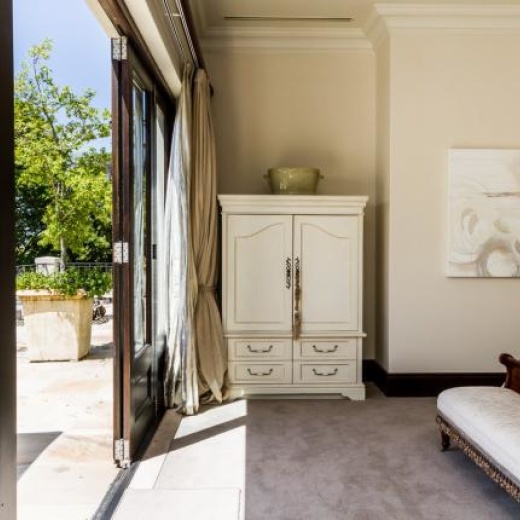 Big beautiful bedrooms and bathrooms can accommodate up to 10 people, enveloping guests with a warm and homey feel. 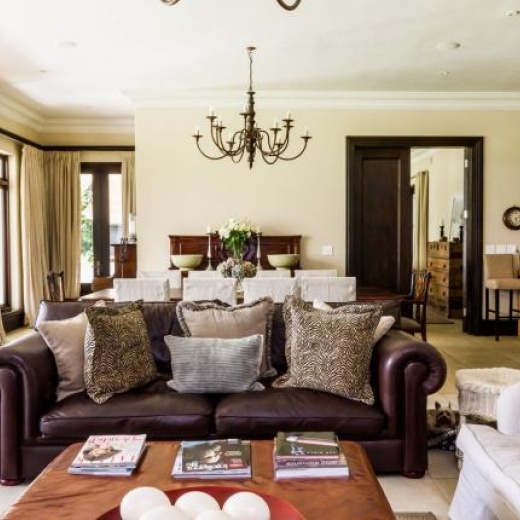 The architecture is gabled, arched and very aesthetically formidable. 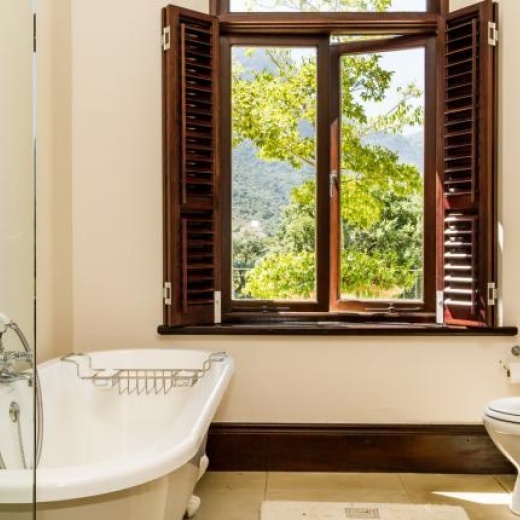 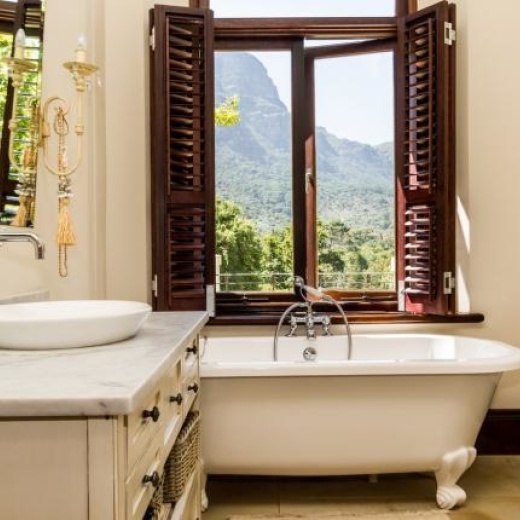 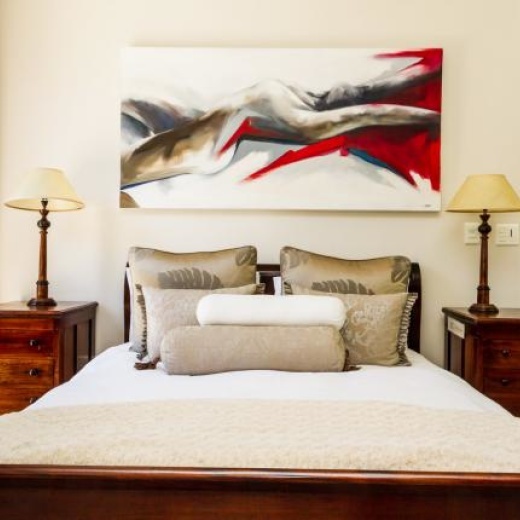 The property, filled with manicured topiaries, lemon trees, lime trees, herb gardens and huge ancient Oaks that overlook the entire False Bay-facing side of the Table Mountain range of mountain peaks, waterfalls and forests.